The English Civil War was a time of disruption, suffering and persecution for many people, not least the clergy of the established church, who found themselves ejected from their livings in increasing numbers as Parliamentarian forces extended their control across the country. Yet, historians have tended to downplay their suffering, preferring in most cases to concentrate instead upon the persecut… ion suffered by dissenters after the Restoration. Drawing upon an impressive array of sources - most notably the remarkable set of family and parish memories collected by John Walker in the early years of the eighteenth century - this book refocuses attention on the experiences of the sequestered loyalist clergy during the turbulent years of the 1640s and 1650s.The study highlights how the experiences of the clergy can help illuminate events in wider society, whilst at the same time acknowledging the unique situation in which Church of England ministers found themselves. For although the plundering, imprisonment and personal loss of the clergy was probably indicative of the experiences of many ordinary people on middle incomes, the ever present religious dimension to the conflict ensured particular attention was paid to those holding religious office. During the war and interregnum, zealous religious reformers attacked every aspect of established religion, targeting both existing institutions and those who supported them. 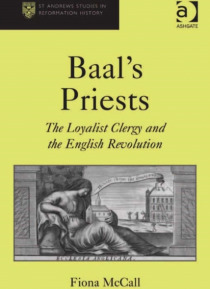 Clergy were ejected on an unprecedented scale, suffering much violence and persecution and branded as 'malignants' and 'baal's priests'. By re-examining their history, the book offers a balanced assessment of the persecution, challenging many preconceptions about the ejected loyalists, and providing new insights into the experiences and legacies of this influential group.